Dr. Chris Long AKA “Dr. Chris” was born and raised in Cleburne. 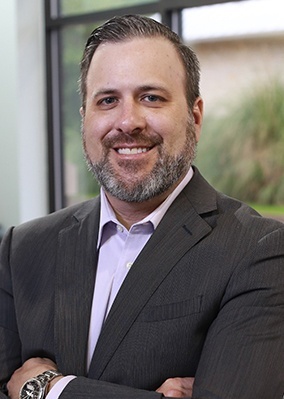 After graduating from Cleburne High School in 1995, he attended The University of North Texas where he received a degree for bachelors of science in biology with a minor in chemistry. In 2000 he was accepted at The University of Texas Health Science Center at San Antonio where he earned his Doctor of Dental Surgery degree. After graduating Dr. Chris joined his father and brother to practice dentistry at Long Family Dental in 2004. Committed to lifelong learning in the dental field, Dr. Chris participates in numerous hours of continuing dental education programs each year. This advanced training allows Dr. Chris to stay abreast of the exciting new advances in modern dentistry in order to give you a healthy, beautiful smile. Dr. Chris became a Fellow of the International Congress of Oral Implantology in 2009. The ICOI is a prestigious worldwide organization centered on dental implant surgery and restoration. Dr. Chris was also chosen by Incisal Edge magazine as a Top 40 Dentist in the United States under age 40 for 2012. Dr. Chris is a member of the American Dental Association, Texas State Dental Association, Academy of General Dentistry, and holds a permit to plan enteral conscious sedation. This allows Dr. Chris to provide oral conscious sedation for the comfort of his patients during dental procedures. He has also participated in an oral surgery externship as well as an implant preceptorship at the University of Texas. Dr. Chris, his wife Emily, and their sons, Jackson and Brennan live in Cleburne. He is a real sports enthusiast who enjoys hunting, fishing and playing golf. He has also been a member in Rotary Club.